When your plans have changed and you’ve freed up some time to play golf we can find you last minute tee times on many of our golf courses. 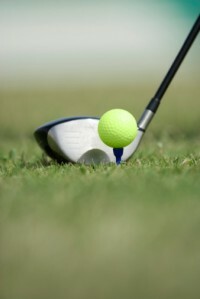 No matter if it’s today or the next day, we can set you up on any number of our championship golf courses in the area. Don’t ever assume that because you didn’t give advance notice that you won’t be able to schedule a tee time. Give us a call and allow us to find you the tee time that works for you on one of our Myrtle Beach courses. You’ll find yourself playing on some of the Grand Strand’s most affordable and preferred championship courses at the best prices. Many of our courses offer discounted rates when you play before 8:00 a.m. and after 1:30 p.m.
Well known as the “Golf Capital of the World” Myrtle Beach is one of the most prestigious golf destinations in the country. Home to over 110 championship golf courses golfers of all skill levels will find the courses challenging. When you play on our championship golf courses you’ll have phenomenal views during the course of your day and plenty of options off the course as well. At MBGolf we can provide you with a large assortment of golf packages to choose from no matter when you’re playing. Play today or play tomorrow, plan ahead or give us a call for last minute tee times, no matter how you do it we can find a package that will suite you and on a course you will love. Come enjoy some of the best golfing of year right now when the courses aren’t crowded and fairways are gorgeous. Take a look at the great specials we have going on right now for tee times and packages on many of the best courses in the Grand Strand region. This entry was posted in Myrtle Beach Tee Times and tagged Last Minute Tee Times. Bookmark the permalink.